This Motiv Venom Cobra attacks quickly like a snake. The Top Gear dual-density core and Sabotage Hybrid Reactive cover combine to create a ball that is deadly. This ball was designed for light to medium oil conditions and goes longer than its predecessor the Venom Shock and with a faster reaction to the lane. what is max top wt for this ball? You will need to place the order with your specifications in the box that says "Click to request pin/top weight" under the weight option. Once our warehouse gets the order, if they have a ball that matches your request, it will ship out. If they do not have a ball that matches, we will contact you before we ship it out. Hope this helps! i read where it is 5000 ls you say 4000 which is it ? Hi Louie. I assume you are referring to the finish of the ball. Where you saw 4000 is a review from a customer. 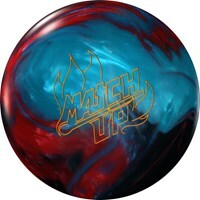 Motiv states that this ball has an out of the box finish of 5500 Grit LSP. would the Corba Venom go well with the Trident. Hello! It could be a good compliment for when the lanes start to dry up pretty significantly. It largely depends on you as a bowler and what you're wanting to use it for exactly. Hello Jake! Yes, the weight blocks are the same throughout all weights. Does it come with holes in it or can I get it without? 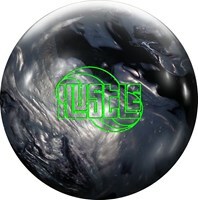 This ball will come without finger holes and you can take this to be drilled at your local proshop. If you want us to drill the ball we do offer to drill for an extra $39.95. This is optional so you can accept or decline this option. 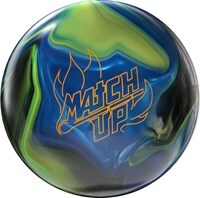 I throw a Ebonite Legacy how does this ball compair to it. 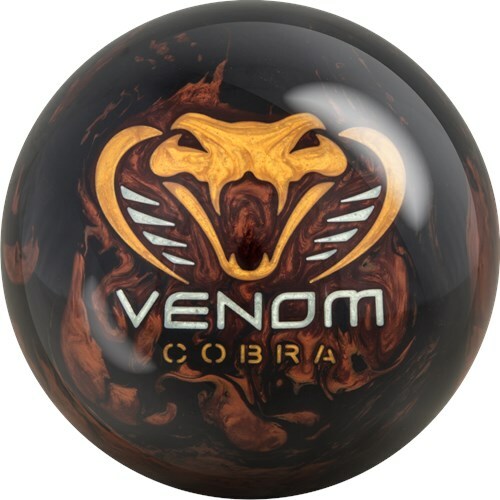 The Ebonite Legacy was actually an upper mid performance ball at the time it was out and it was rated for more oil than the Venom Cobra. Out of the box the Venom Cobra is going to get more length and have more of backend hook where the Legacy was designed to read the lanes a little earlier and a little smoother hook throughout. Could you give me a little insight on what the different grits (1500 to 5500) do to the length down the lane? Also what the various pattern layouts have on when the ball is going to hook on medium oil patterns? I realize ball speed and rev rates can impact this, but consider like a 13mph rate. Hello! The higher the grit will be the longer it will go before breaking. Your driller can drill your ball exactly how you would like it to react. Is this ball polished ? This ball has a hybrid coverstock with a Finish: 5500 Grit LSP. This is a mid performance ball. Spare balls are made out of plastic/polyester coverstock. Will this ball stay long even if I don't have much speed (13-15)?? Yes, it will still have length to it. Unfortunately, this is a Hybrid reactive ball. Motiv is the brand that makes the Venom Cobra. As a 2 hander who has a decent amount of revs with a lower speed, is it likely for this ball to cross over often, considering its 5500 grit LSP finish? This would be just the kind of ball you would need actually. If you have a rev dominant release ( high revs, low ball speed ), then you need a ball that goes long on the lanes before it reacts. The 5500 Grip LSP finish is equivalent to the smoothest finish you can get for the most length. 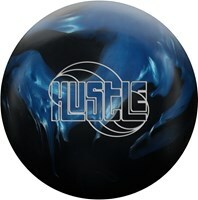 Due to the time it takes to produce the Motiv Venom Cobra ball it will ship in immediately. We cannot ship this ball outside the United States.